Since 2003, Crosby Real Estate has been helping families find the perfece home for them. 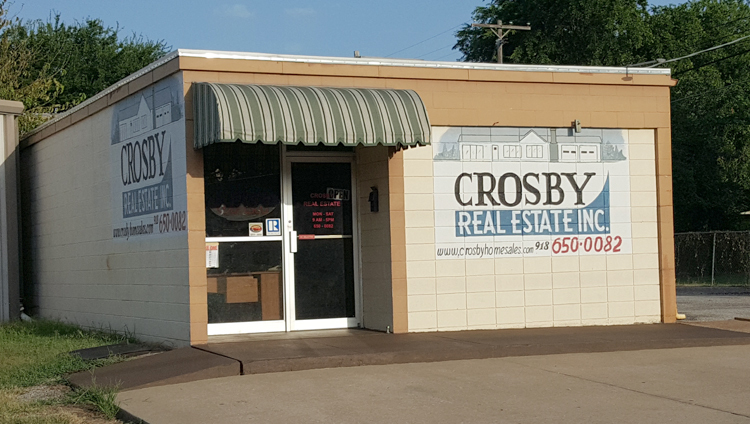 Based in Henryetta, Oklahoma, Crosby Real Estate takes care of the real estate needs throughout Okmulgee, Okfuskee, McIntosh and Hughes counties. We have listings in Glenpool, Sapulpa and Bixby in Tulsa County. Crosby Real Estate, Inc. is dedicated to offering you Honest, Reliable Service. Whether you are buying or selling homes or real estate, we will be there to assist you through the process along the way. Our agents are trained to make your real estate purchase or sale simple and as hassle-free as possible. Please contact us and let us know how we can best serve you.